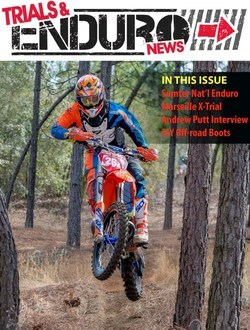 The March issue of Trials & Enduro News is LIVE and ready to view! This issue has full coverage of the Sumter round of the Kenda AMA National Enduro Series, an interview with Pro Trials rider Logan Bolopue, FIM X-Trial competition reports from Pau, France and Marseille, France. We also have a test on the 2015 YZ250FX, as well as a look at the new FLY off-road boots.